Moveo teaching team is composed for highly qualified teachers in the field of physical theater and corporeal mime and, aswell as teachers from other areas who come to enrich the educational possibilities of the School. All the team members are active professionals, either as directors, actors, or choreographers. Performer, creator and teacher, Sophie is co-founder of Moveo, training centre and company. Her interest goes towards the expressive human body and artistic creation using the body as main element of communication. Born in Switzerland and professionally active in London and Barcelona, she was a member of the international company Théâtre de l’Ange Fou during several years in London. With it, and later with the Cia Moveo, she has toured with shows in countries such as Belgium, Croatia, Spain, France, Israel, Italy, Poland, Portugal, Puerto Rico, United Kingdom, Romania and Switzerland. 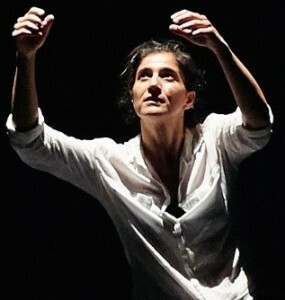 She has participated and/or directed projects for the Institut del Teatre de Barcelona, the University of Barcelona – Centre de Recerca DUODA, Dies de Dansa – festival GREC of Barcelona, NOVIA – University of Applied Sciences of Finland, Festival International d’Improvisation Théâtrale de l’Île de la Réunion and the International Festival of Physical Theatre of the Caribbean. In Spain and Europe, she has given classes and workshops in: School of Speech and Drama of London, Conservatoire Populaire of Geneva, Pedagogical High School of Aarau (Switzerland), Schools of Dramatic Art of Valencia, Vigo and Palma de Mallorca, Association of Actors of the Balearic Islands, Festival of Sueca amongst others. Trained in theatre, circus and dance in Geneva, Paris and London, Sophie hold a diploma of the International School of Corporeal Mime of London where she also post-graduated in Teaching and Directing. Born in Paris, Stéphane graduated in Philosophy before completing a diploma in Corporeal Mime at the London International School of Corporeal Mime, directed by Steven Wasson and Corinne Soum, the last assistants of Etienne Decroux. He studied vocal technique with J. Wilde, A.-M. Speed and P. van Zyl. From 1997 to 1999 he followed the post-grade programme of the school, specializing in Teaching and Directing. From 1999 to 2002 he assisted S. Wasson and C. Soum, teaching at the London Corporeal Mime School. During this period, and for five years, he was also member of the company “Théâtre de l’Ange Fou”, and participated in the creation of six of its productions, with which the company toured Europe. From then to the present day, he has lead workshops in festivals, schools and companies, such as: Edinburgh Fringe Festival, Central School of Speech and Drama of London, London International Mime Festival in the U.K.; Institut del Teatre de Barcelona, Escuelas Superiores de Arte Dramático de Valencia and Vigo, Associació d’actors de les Illes Balears, among others. 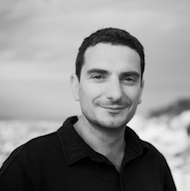 In 2004, Stéphane, together with Sophie Kasser, founded MOVEO- Training and creation centre. He is co-director of the Escuela Internacional de Mimo Corporal Dramático de Barcelona, and co-artistic director of the Cia Moveo, with whom he has won several awards: the most recent ones are the Best Show Award (dance category) of the International Theater and Dance Fair of Huesca’15, the Mais Award for Best Company of the Imaginarius International Festival’16 (Portugal) and the Moritz FiraTàrrega’17 Award for Best Street Arts Premiere. Since 2005 he teaches physical theatre for actors and directors at the Institut del Teatre de Barcelona, teaching both in the national school of the theatre and in the dance conservatory. 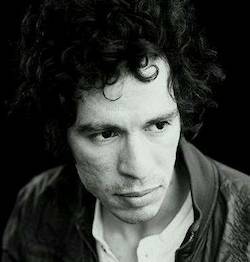 Born in Costa Rica in 1980, he discovered a taste for the stage at the National Workshop of Theatre of Costa Rica. In Spain he obtained a degree in speaking theatre at the Royal High School of Performing Arts in Madrid. The, he traveled to London, gaining a diploma as a professional mime actor with the International School of Corporeal Mime and working for four years as an actor in their theatre company, Théâtre de l’Ange Fou. He works as a mime actor regularly with Cirque du Soleil, using his mime tools to created their characters. At the same time, Mai has given workshops in Costa Rica, Puerto Rico, Colombia, United Kingdom, Spain, Germany and Poland. Mai always embraces the personal touches into his creativity when producing a show, both as a mime actor and director of his company. In 2013 he creates his own Physical Theatre Company, LOS ESCULTORES DEL AIRE, with 5 on going shows. She studied in the Jacques Lecoq School en Paris, and she is graduated in Direction and Dramaturgy from the Institut del Teatre of Barcelona. She has taken courses with Monika Pagneux, Zygmund Molik, Cheek by Jowl, Thierry Hschstätter, Adrian Jackson, Iván Nogales, Serge Nicolaï (Théâtre du Soleil), José Sanchís Sinisterra, Gabriela Izcovich, Vincent Rouche, Garry Leontiev. She has worked as an actress for different companies: L’Ou Nou, El Teatrí, El Tricicle, Xalàteatre y Stare Loco. She has been a direction assistant and movement assessor for various shows (three of those directed by Joan Castells) and has directed: “Pepoff, història d’un pallasso”, with Pep Salvat; “La festa del blat” by Àngel Guimerà; “Malas Palabras” by Perla Szuchmaher, “Pim, pam, pum” by Eugène Ionesco; “La locura que cura” with Alejandra Jiménez-Cascón, “L’hort de Can Pitrocs” with the company La Guilla; “Polièdrica” with the company Polièdrica; “Hoy tu pluma brillará”, with Pere Cabaret; “Blanca desvelada” (2015) with Alejandra Jiménez; “Estima’m que tinc pressa” (2016) with Cie Xucrut Teatre; “Engrunes” (2016) with Cie Rumb Teatre; “La perdiu és de qui la caça” (2017) with Cie Tabú; “Tatanka” (2017) with Cie Minúcia Teatre. She has taught and directed shows in various centres and schools of Barcelona: Col·legi del Teatre, Institut del Teatre, Moveo Center and Estudis de Teatre. 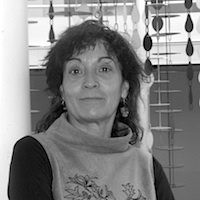 She funded the company BOJUM Teatre with which she created the work “Masticació”, from a text by Patrick Kermann, presented in various theatre festivals. Theatre actor, author and director, graduated from the Jacques Lecoq International Theatre School, in Paris, and by the Escalante Theatre Centre, in Valencia. He also graduated in Sound from the School of Audiovisual Means of Barcelona. He starts his professional career as an actor in 1999 and since then he has been working with different theatre companies, with which he has participated in more than twenty shows. 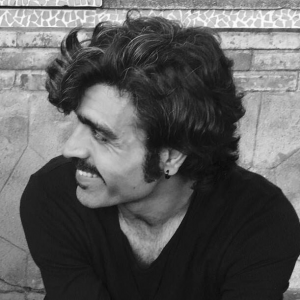 From 2001 he has directed shows for L’Horta Teatre, A Tempo Dansa, Teatro Inquieto, Teatro de la Saca, Fensonbuá Cia de Danza and Germina Producciones. Among the awards obtained by the shows he participated in, one can find FETEN Best Director Award; Audience Award and Best Adaptation Abril Award; Best Show Award of the Leioa Theatre Fair; Best Show Award of Fira Tàrrega; Best Show Award of the Aguilar de Campoo Festival; FETEN Audience Award and Revelation MAX Awards nominee. 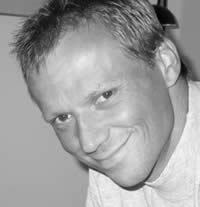 In his teaching career, he has giving courses for the Scène Nationale, in France; for the National Theatre School and National Dance School, in Costa Rica; for Kakiseni in Malaysia and for different creation centres in Spain. Dancer, independent creator and contemporary dance teacher since 2002. Currently she is working independently with different artists such as Anna Rubirola and Mireia de Querol Collective Big Bouncers, with which manages the creative space La Visiva; Joao Lima and Anna Rubirola in the piece “Morder la Lengua”, awarded with the Klauss Vianne Prize, circulating for 5 capital cities in Brazil in 2016; with Grup LaBolsa and Thomas Hauert in the show “La medida del desorden” premiered in July 2015 as part of the Grec Festival Barcelona. She also works with the choreographer Emmanuel Grivet in different projects related to improvisation. With her solo works “Sola?” (2005) and “La incorruptible belleza de la distancia” (2011), presented in different festivals in Spain, France, Italy, Mexico, Cuba and Argentina. She has worked with different choreographers and creators: Jorge Albuerne Alexis Eupierre, Montse Colomé, Toni Mira & Cia. 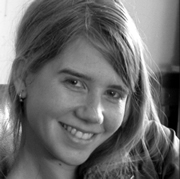 Nats Nus (Barcelona); Inés Bozza, Cia Gabriela Solini, Cia Tumaka’t, Tragant-Dansa and la Caldera (Barcelona), and she is also part of projects related to video-dance, developed with Cultural Assoc Finmatun, among others. 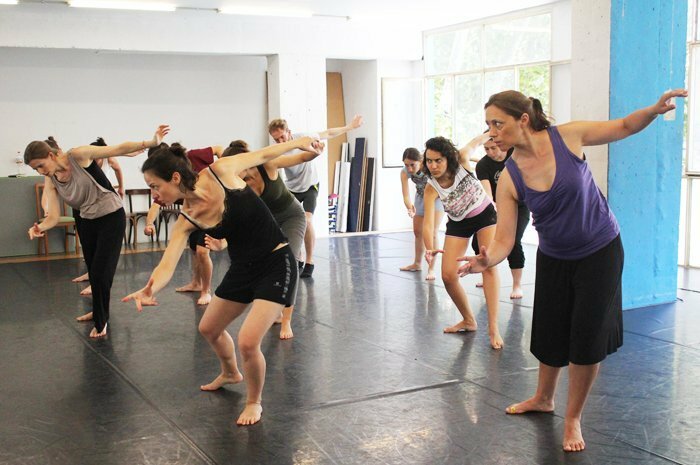 She offers classes in contemporary dance, improvisation and composition since 1997 in Argentina and since 2002 in Barcelona and other cities in Europe and Latin America. She is also part pf the project Sudansa since 2009 (dance in schools), and the project Tot Dansa since 2016. Moreover, this year the Collective Big Bouncers is part of the project En Residencia. She has benn part of the board of the APDC (Association of professional dancers of Catalonia) since 2011 until 2017, and La Caldera Les Corts until 2017.